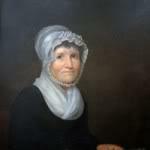 Rebecca Cox was born on February 15, 1795 to a free family in Hornstown, Pennsylvania and lived until the age of three or four with her grandmother, who died when Rebecca was seven. From the time she was ten, she was responsible for the care of two younger siblings. 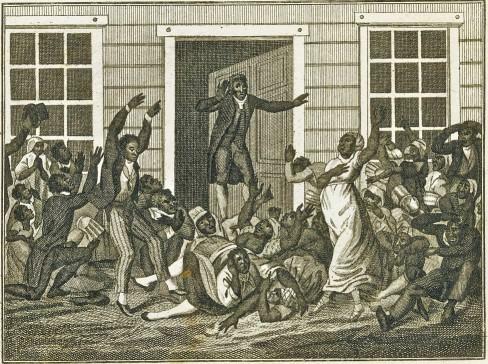 Rebecca’s mother died when she was thirteen, and she was taken in by her brother Joseph Cox, a thirty-one-year old African Methodist Episcopal minister, a widower and father of six children. 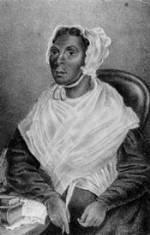 In 1830, she married Samuel S. Jackson, who also lived in the Cox house, and they continued living with her brother and his children. They had no children. In addition to managing her brother’s home, Rebecca worked as a seamstress, one of the most common occupations for black women during that period, even after getting married. Yet Rebecca was still frustrated by her inability to read and write. Her brother had promised to teach her, but had not been able to do so, being tired every night. She resolved to “not think hard of my brother, … [who] had always been kind and like a father to me.” She continued to rely on him to read and write for her. Until she realized he had made substantial changes in letters she had dictated. The Religious Society of Friends, commonly called Quakers has opposed war and violence from its inception, and has sought instead to do away with the causes of war and alleviate the suffering it causes. George Fox, the founder of the Friends, preached in the 1640s that there was a divine spark within each person, which means that all human beings are infinitely precious in God’s sight, and no one is justified in taking the life of another. The second of eight children, Ann Lee was born on February 29, 1736, in a poor district of Manchester, England, known as Toad Lane. Her father John Lee was a blacksmith whose meager income barely fed his family. Except for a parish church record of her baptism in 1742, very little is known of Ann Lee’s childhood. 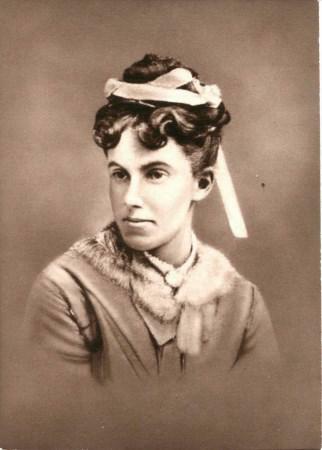 Since education for a girl of Lee’s station was out of the question, she was illiterate and found employment in the textile mills of Manchester. By her twenties, she was serving as a cook in the public infirmary and madhouse. Lee exhibited a religious bent early in life, found living in the crowded industrial city difficult. Quaker writer and speaker Bathsheba Bowers wrote a spiritual autobiography, An Alarm Sounded to Prepare the Inhabitants of the World to Meet the Lord in the Way of His Judgments (1709), one of the first published religious testimonials by an Anglo-American woman. 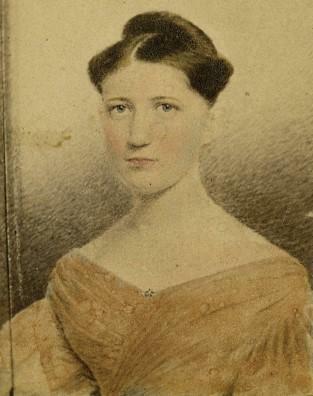 In a biographical sketch of Bowers written in 1879, William J. Potts referred to other works written by her, but none of these has come to light in scholarly research, and her reputation accordingly rests solely on her spiritual autobiography. 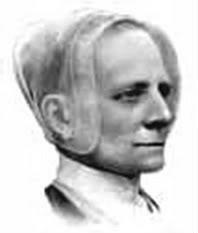 Raised in Charlestown, Massachusetts, Bowers was one of twelve children born to Benanuel Bowers and Elizabeth Dunster Bowers, English Quakers who had settled in America. When the Puritan persecution of Quakers became intolerable in the late seventeenth century, her parents sent Bowers and three of her sisters to live in Philadelphia, a city known for its liberality and its large Quaker population.